The Finnish Institute in London celebrates the centenary of Finland's independence by highlighting the importance of literacy, literature and libraries. ‘10x10 Stories from Finland’ campaign has collected 100 books written by Finnish authors, translated into English, in cooperation with British publishing houses. The books are donated to 10 different libraries around the UK during 2017. The Finnish Institute in London together with the Finnish Embassy wants to convey the power of literacy through the campaign. Literacy is a fundamental human right and the foundation for lifelong learning. Finland is the world's top country in literacy, which is one of the key factors behind the welfare and academic success of any society. Finland is a country of readers - Finns are among the most active library users and book consumers in the world. 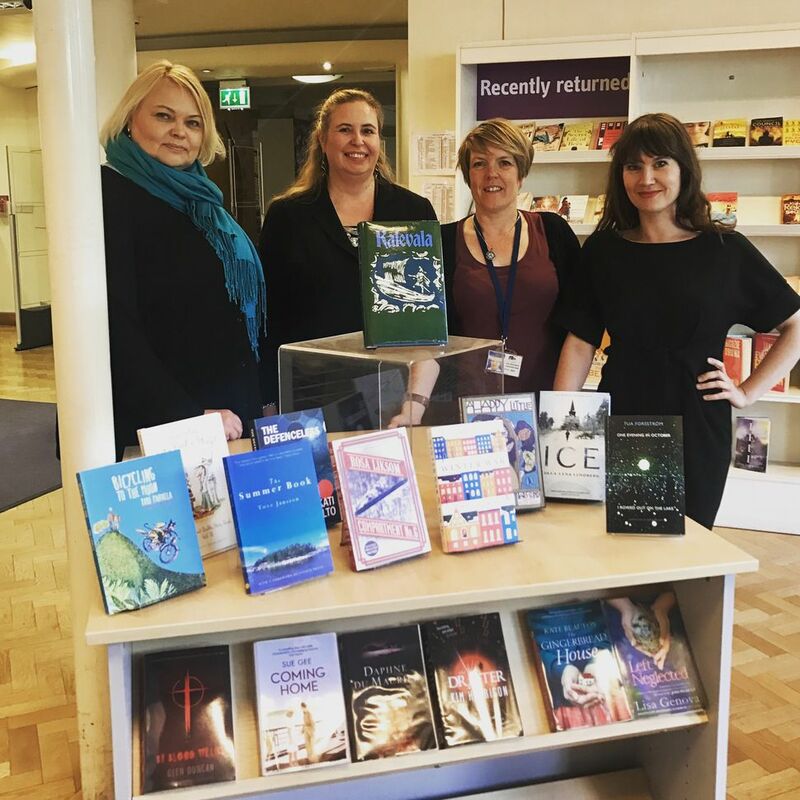 “We wanted to celebrate Finland's centenary in the UK by bringing 10 wonderful Finnish stories to British readers and library users. We believe these stories offer great literary travels across Finnish culture,” says Johanna Sumuvuori, Head of Society and Culture at the Finnish Institute in London. The selection of the books include a wide range of literature including both modern masterpieces and beloved classics, including the Finnish national epic Kalevala. There are books by some of Finland’s most celebrated contemporary authors Rosa Liksom, Ulla-Lena Lundberg, Timo Parvela, Lars Sund and Antti Tuomainen. The campaign represents the joy of reading, which can be experienced through Nordic noir, sci-fi, poems or children’s literature. The campaign was launched in Southampton 26 April followed by a donation to Nottingham Central Library 25 May. Campaign continues with latest donations to Leeds Central Library and Jubilee Library of Brighton and Hove 7 June. Our partners are Embassy of Finland in London, Bloodaxe Books, Gecko Press, Orenda Books, Pikku Publishing, Serpent’s Tail, Sort of Books and Vagabond Voices. 10x10 Stories of Finland is a part of the official programme of Finland 100. Read more about the authors and titles featured in the campaign here. Watch our campaign video here!